It’s after midnight, I’ve mostly posted stuff on my long-dormant Twitter account (@kuff), and I will have many, many thoughts in the coming days. For now, a brief recap. – As you know, neither Beto nor any other Dem won statewide, thus continuing the shutout that began in 1996. However, as of this writing and 6,998 of 7,939 precincts counted, O’Rourke had 3,824,780 votes, good for 47.86% of the total. In 2016, Hillary Clinton collected 3,877,868 votes. It seems very likely that by the time all is said and done, Beto O’Rourke will be the biggest vote-getter in history for a Texas Democrat. He will have built on Hillary Clinton’s total from 2016. That’s pretty goddamn amazing, and if you’re not truly impressed by it you’re not seeing the whole picture. We’re in a different state now. – Beto may not have won, but boy howdy did he have coattails. Colin Allred won in CD32, and Lizzie Fletcher won in CD07. Will Hurd is hanging on to a shrinking lead in CD23, up by less than 1,200 votes with about 14% of the precincts yet to report. He was leading by 6,000 votes in early voting, and it may still be possible for Gina Ortiz Jones to catch him. Todd Litton (45.30% in CD02), Lorie Burch (44.21% in CD03), Jana Lynne Sanchez (45.25% in CD06), Mike Siegel (46.71% in CD10), Joseph Kopser (47.26% in CD21), Sri Kulkarni (46.38% in CD22), Jan McDowell (46.91% in CD24), Julie Oliver (44.43% in CD25), and MJ Hegar (47.54% in CD31) all came within ten points. – Those coattails extended further down the ballot. Dems picked up two State Senate seats, as Beverly Powell defeated Konni Burton in SD10 (Wendy Davis’ old seat) and Nathan Johnson trounced Don Huffines in SD16. Rita Lucido was at 46.69% in SD17, but she wasn’t the next-closest competitor – Mark Phariss came within three points of defeating Angela Paxton in SD08, a race that wasn’t really on the radar. Oh, and in an even less-visible race Gwenn Burud scored 45.45% in SD09, while Meg Walsh got to 41.60% against Sen. Charles Schwertner in SD05 (he was just over 55% in that race). We could make things very, very interesting in 2022. Note that of those seven wins, a total of four came from Denton, Hays, and Williamson Counties. The Dems have officially gained a foothold in the suburbs. They also lost some heartbreakingly close races in the House – I’ll save that for tomorrow – and now hold 12 of 14 seats in Dallas County after starting the decade with only six seats. This is the risk of doing too precise a gerrymander – the Republicans there had no room for error in a strong Democratic year. – Here in Harris County, it was another sweep, as Dems won all the judicial races and in the end all the countywide races. Ed Emmett lost by a point after leading most of the evening, while the other Republicans lost by wide margins. Also late in the evening, Adrian Garcia squeaked ahead of Commissioner Jack Morman in Precinct 2, leading by a 112,356 to 111,226 score. Seems fitting that Morman would lose a close race in a wave year, as that was how he won in the first place. That means Dems now have a 3-2 majority on Commissioners Court. Did I say we now live in a different state? We now live in a very different county. – With 999 of 1,013 precincts in, Harris County turnout was 1,194,379, with about 346K votes happening on Election Day. That puts turnout above what we had in 2008 (in terms of total votes, not percentage of registered voters) but a hair behind 2012. It also means that about 71% of the vote was cast early, a bit less than in 2016. – Oh, and the Dems swept Fort Bend, too, winning District Attorney, County Judge, District Clerk, all contests judicial races, and County Commissioner in Precinct 4. Maybe someone can explain to me now why they didn’t run candidates for County Clerk and County Treasurer, but whatever. – Possibly the biggest bloodbath of the night was in the Courts of Appeals, where the Dems won every single contested race in the 1st, 3rd, 4th, 5th, 13th, and 14th Courts. I count 16 incumbent Republican judges losing, with several more open Republican-held seats flipping. That is utterly amazing, and will have an impact far greater than we can imagine right now. – Last but not least, both Houston propositions passed. Expect there to be a lawsuit over Prop B.
They’re concerned about the State Senate, too. Republican lawmakers in the Texas Senate were sitting pretty last year. For years, the GOP had faced roadblocks to passing some conservative measures by the chamber’s two-thirds rule, which normally required the support of 21 members to get a bill to the floor. With 20 Republicans in the chamber, that left Republicans one short of moving out bills without the help of a single Democrat. But then in 2015, Lt. Gov. Dan Patrick led a successful move to lower the threshold from two-thirds to three-fifths. Suddenly, any measure with the backing of all of the chamber’s Republicans had all the support it needed. For that session and the ones that followed in 2017, the GOP effectively ran the Senate floor. Now, with less than two months until Election Day, Republicans are finding that keeping that supermajority in the Texas Senate is no longer a sure thing. The Senate is still poised to remain GOP-dominated during next year’s legislative session. What’s at stake for the chamber’s Republicans this election cycle is losing their three-fifths majority — the crucial threshold for bringing legislation to the Senate floor without any support from Democrats. If at least two of [Konni Burton, Don Huffines, and Joan Huffman] lose their seats this election cycle, the political repercussions could be far-reaching: not only would it loosen Patrick’s stronghold over the upper chamber, Republican senators themselves would have to work across the aisle to get their bills passed. What’s also at risk is the ability to get conservative legislation to the governor. Without a Republican Senate supermajority, Easton said, measures important to hard-line conservatives might not get a hearing in the Texas House — let alone be brought up for debate on the Senate floor. Miller agreed, adding that Republicans in the Senate might have reason to worry. There’s at least some polling evidence to suggest that both Powell and Johnson are in decent shape, though it’s one poll in each case and you know what we say about individual polls. I just want to observe that I wrote about the effect of Dems picking up two Senate seats last year, right after the filing deadline. Patrick could of course seek to eliminate the three-fifths rule in the same way that he eliminated the two-thirds rule; the Senate adopts the rules it abides by each session, and it only takes a majority vote to do so. All I know is that anything that clips Dan Patrick’s wings, even a little bit, is a good thing. Both Powell and Johnson have been endorsed by the DMN, for whatever that’s worth. These are all winnable races. It’s a matter of proving Dems can win in districts that weren’t drawn for them. State Sen. Konni Burton’s Democratic challenger, Beverly Powell, has a 4-point lead over the Colleyville Republican, according to a new poll from Powell’s campaign. The survey of 600 likely voters found Powell, a former Burleson ISD trustee, receiving 46 percent of the vote and Burton 42 percent, with 11 percent undecided. Powell expanded her lead to 9 points — 53 percent to 44 percent — after respondents were read positive descriptions of both candidates. The poll also asked likely voters in the battleground district about the U.S. Senate race and found the Republican incumbent, Ted Cruz, trailing Democratic challenger Beto O’Rourke by 4 points, 49 percent to 45 percent. Six percent were unsure. Democratic pollster Keith Frederick conducted the survey from May 14-21 using phone interviews, 38 percent of which included cell phones. The margin of error was plus-or-minus 4 points. The polling memo is here, though it doesn’t tell you much more. It does indicate that the sample self-identified as 40% Republican, 36% Democrat, and the rest Independent. We’ve discussed the reasons to be cautious about internal polls before, and those reasons apply here. Powell won the primary in March so it’s not unreasonable to think this is not the first poll her team has commissioned, and the “informed voter” part of it is surely aimed at potential funders. This has been a contentious race from the get-go, in part because it’s the one truly swingy Senate seat. Even in the wipeout of 2014, it wasn’t that red – Greg Abbott and Dan Patrick won it by about eight points, while downballot Republicans won it by about ten. In a context where the statewide split is something like 55-45 instead of the 60-40 it was four years ago, this district is basically 50-50. If nothing else, this result is consistent with the US Senate polls we’ve seen. Link via the Lone Star Project, which also teases an encouraging poll in SD16, which I’m trying to learn more about. It’s that kind of year. Inside a classroom at a community college in downtown Dallas, a group of two dozen women took turns sharing their names, hometowns and what they hoped would be their future titles: Congresswoman. Dallas County judge. State representative. A record number of women appear to be answering that call, fueled largely by frustration on the Democratic side over the election of President Donald Trump and energized by Democratic women winning races in Virginia in November. Experts say 2018 is on track to be a historic year, with more women saying they are running at this point than ever before. One hundred women, Democrats and Republicans, have filed to run for Texas legislative seats this year, compared with 76 women in 2016, according to Patsy Woods Martin, executive director of Annie’s List, whose mission is to recruit, train, support and elect progressive, pro-choice female candidates in Texas. Woods Martin said that in 2017, 800 women participated in the organization’s candidate training programs, up from 550 in 2013. As of now, Annie’s List has endorsed two candidates — Beverly Powell and Julie Johnson. Powell is seeking to beat state Sen. Konni Burton, R-Colleyville, in Senate District 10, for the North Texas seat formerly held by Wendy Davis, who surrendered it in 2014 to run for governor. Johnson is looking to oust state Rep. Matt Rinaldi, R-Irving, one of the most conservative members of the House, in House District 115. While the statewide slates of both parties will be dominated by men, Kim Olson, a retired Air Force colonel, with a ranch in Mineral Wells, is the lone Democratic candidate for agriculture commissioner, and Republican Christi Craddick is seeking to keep her spot on the Railroad Commission. There are also quite a few Texas women running for seats in Congress, including Mary Jennings Hegar and Christine Eady Mann, two of the four candidates seeking to win the Democratic nomination to take on Rep. John Carter, R-Round Rock, in U.S. House District 31. For Democrats, there are 37 female candidates for Senate and Congress, in a total of 23 districts. There are 7 female candidates for State Senate, and 78 for State House. On the Republican side, there are 12 female candidates for Senate and Congress, with 7 for State Senate and 24 for State House. That adds up to 116 for state legislative office, with the proviso that I may have missed a name or two here and there. For comparison purposes, there are currently three Texas women in Congress (Reps. Sheila Jackson Lee, Eddie Bernice Johnson, and Kay Granger), eight female State Senators (only half the Senate is up for election this cycle), and 29 female State Reps. Bearing in mind that some of these candidates are competing for the same office, and some of them are running against female incumbents, it seems likely that there will be more women in these offices overall next year. Gotta run to win, and this year that’s less of an issue than in other years. In 2014, Democrats contested five of the eleven Republican-held State Senate seats on the ballot, plus the seat that was vacated by Wendy Davis, which was won by Republican Konni Burton. This year, Democrats have candidates in eleven of these twelve districts. I wanted to take a closer look at some of these folks. For convenience, I collected the filing info for Senate and House candidates from the SOS page and put it all in this spreadsheet. I skipped SDs 14, 15, and 23, which are held by Democrats Kirk Watson, John Whitmire, and Royce West. Whitmire has two primary opponents, the others are unopposed. Let’s look at who we have here. Kendall Scudder is a promising young candidate running in a tough district against a truly awful incumbent. First-term Sen. Bob Hall is basically Abe Simpson after a couple years of listening to Alex Jones. If he runs a good race, regardless of outcome, Scudder’s got a future in politics if he wants it. Shirley Layton is the Chair of the Angelina County Democratic Party, which includes Lufkin. Robert Nichols is the incumbent. All of the contested primaries look like they will present some good choices for the voters. In SD05, Brian Cronin, who has extensive experience in state government, looks like the most polished candidate to take on Charles Schwertner. Grumpy Williams is easily the most colorful candidate in any of these races. There wasn’t enough information about Meg Walsh for me to make a judgment about her. I’ve previously mentioned Mark Phariss’ entry into the SD08 race at the filing deadline. He doesn’t have a website or Facebook page up yet, but you could read this Texas Monthly story about him and his husband for a reminder of who Phariss is and why he matters. This seat is being vacated by Van Taylor, and the demonic duo of Angela Paxton and Phillip Huffines are running for it on the GOP side. I couldn’t find much about either David Romero or Gwenn Burud, but in searching for the latter I did find this Star-Telegram story, which tells me that the Tarrant County Democratic Party did a great job filling out their slate. The incumbent here is Kelly Hancock. Elsewhere in Tarrant County, the primary for SD10, which is overall the most closely divided district, ought to be salty. Powell is clearly the establishment candidate, having been endorsed by folks like Wendy Davis and Congressman Mark Veasey. Campolo identifies herself as a Bernie Sanders supporter. I expect there will be some elbows thrown. The winner gets to try to knock out Konni Burton. Joe Bogen and Nathan Johnson seem pretty evenly matched to me. They’re battling for the right to take on the awful Don Huffines, whose SD16 is probably the second most vulnerable to takeover. 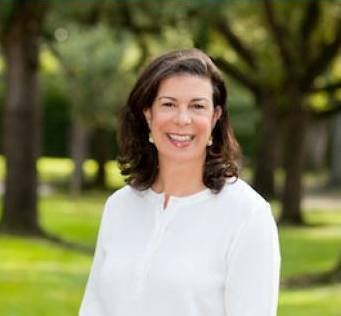 In SD17, Fran Watson, who is a former President of the Houston GLBT Political Caucus, has been in the race for a few months. Rita Lucido, who was the candidate against Joan Huffman in 2014, filed on deadline day. The presence of perennial candidate Ahmad Hassan means this one could go to a runoff. Both Jack Guerra and Steven Kling look like good guys in SD25. No doubt, both would be a big improvement over the zealot incumbent Donna Campbell. Last but not least, Kevin Lopez is a City Council member in the town of Bridgeport. He joins Beverly Powell, who serves on the Burleson ISD Board of Trustees, as the only current elected officials running for one of these offices. The incumbent in SD30 is Craig Estes, and he is being challenged in the Republican primary. Winning even one of these seats would be great. Winning two would bring the ratio to 18-13 R/D, which would be a big deal because the old two thirds rule is now a “sixty percent” rule, meaning that 19 Senators are enough to bring a bill to the floor, where 21 had been needed before. Needless to say, getting the Republicans under that would be a big deal, though of course they could throw that rule out all together if they want to. Be that as it may, more Dems would mean less power for Dan Patrick. I think we can all agree that would be a good thing. None of this will be easy – Dems are underdogs in each district, with more than half of them being very unfavorable – but at least we’re competing. National conditions, and individual candidates, will determine how we do. The Trib highlights a couple of races of interest. State Sen. Van Taylor, R-Plano, has not yet announced he’s running for Congress — he is expected to after the special session — but the race to replace him is already underway. Phillip Huffines, the chairman of the Dallas County GOP who has been campaigning for the Senate seat since March, put $2 million of his own money into his campaign and raised another $547,000, leaving him with $2.4 million in the bank. State Rep. Matt Shaheen, the Plano Republican who is likely to run for the Senate seat but has not yet made it official, had $495,000 cash on hand after raising $62,000 at the end of June and loaning himself $187,000 in June. State Sen. Konni Burton, R-Colleyville, already has two Democratic challengers in her battleground district, where she has a $352,000 war chest after raking in $196,000 at June’s end. One of her Democratic foes, Beverly Powell, raised $50,000 in just under a month and has $32,000 in the bank. Powell’s cash-on-hand figure is closer to $46,000 when factoring in online donations she received at the end of June, according to her campaign. Another Democratic candidate, Alison Campolo, posted smaller numbers. State Sen. Don Huffines, R-Dallas, is also on Democrats’ target list for 2018. 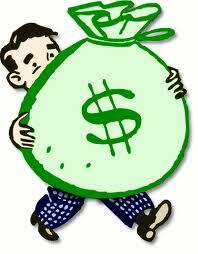 He reported raising $222,000 at the end of June and having $930,000 in cash on hand. One of his Democratic rivals, Nathan Johnson, began his campaign in early April and has since raised $80,000, giving him a $65,000 cash-on-hand tally. Another Democratic candidate, Joseph Bogen, kicked off his bid in May and had raised $32,000 by the end of June. He has $21,000 in cash on hand. Do I have finance reports for Senate districts and candidates of interest? Of course I do. Here’s my look at State Senate precinct data, with an eye towards evaluating potential electoral targets for 2018. The three of greatest interest are SDs 10, 16, and 17, more or less in that order. We’ve met the SD10 hopefuls, but this is the first I’ve heard of challengers in SD16. Here’s Nathan Johnson‘s webpage, and here’s Joe Bogen‘s. I don’t know anything more about either of them than that, so if you do please feel free to speak up. As for SD17, I sure hope Fran Watson or someone like her makes her entry soon, because right now the only opponent for Joan Huffman is Ahmad Hassan. Here’s what we learn in this Star-Telegram story about incumbent Sen. Konni Burton’s intent to run for re-election. At least two Democrats already have announced their intention to seek Burton’s seat. Beverly Powell, a Fort Worth woman who serves on the Burleson school board and is Burleson Mayor Ken Shetter’s mother, also intends to run. Powell criticized Burton’s ardent partisanship that she said sometimes runs counter to the needs of her district. Fort Worth attorney Jeff Whitfield is considering a bid for the office as well. Here’s Allison Campolo’s webpage and campaign Facebook page. She has a campaign kickoff event coming up on July 1. Google didn’t have any other useful information for me about her, but I see that she and several other Democratic female candidates in the D/FW area joined together for a campaign event, which seems like a great idea. Beverly Powell’s candidacy also drew a local newspaper mention. Her website is here and her Facebook page is here. You can also see her official bio on the Burleson ISD School Board page. This ought to be an interesting primary, between two candidates that at least on the surface offer a bit of contrast, as Campolo is a newcomer with a science background, and Powell is more of an establishment figure as well as a current officeholder. I wonder if Annie’s List will have a favorite or if they’ll wait till after the primary to publicly back the nominee. Hillary Clinton didn’t quite carry SD10, but overall it is the most competitive Senate district on the ballot next year. Even in the disaster of 2014, Burton only beat Libby Willis by 52.8% to 44.7%, with Greg Abbott beating Wendy Davis in her former district 52.9% to 45.6% and Dan Patrick topping Leticia Van de Putte 52.7% to 44.2%. It wouldn’t take much of a shift in turnout for SD10 to be at best a tossup. I look forward to seeing who emerges in this district.